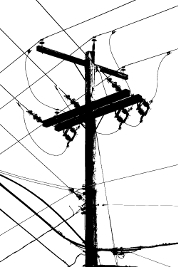 If re-elected, the New South Wales Government will move to sell 49% of the state's electricity poles and wires. The Coalition government revealed its votes last week, saying the sale could bring in billions. But while Nationals MPs and regional residents are celebrating especially, one academic says it may not go as planned. The plan to privatise just under half of the NSW power network does not include selling any part of the regional utility, Essential Energy, which covers 95% of NSW. Murray Darling Nationals MP, John Williams, has hailed the split as a victory for the bush, saying it will receive its promised road upgrades without the risk of increased power prices. The NSW premier has said that the long-term leasing deal would bring in around $20 billion for infrastructure spending, and $6 billion would be set aside for regional roads, freight, hospital, and water infrastructure. The bonus for country residents was hard-won, according to some MPs. Reports say that the negotiations before the party voted went on for hours, with MPs jostling to ensure their regions would benefit. But University of Queensland Professor in Economics John Quiggin says there is evidence that the NSW Government’s plan may be “half-baked”. Dr Quiggin says history has shown in Victoria and South Australia that large job losses follow privatisation, and that power prices only increase. Professor Quiggin says holding on just the rural part of the network muddies the deal, and the state should sell all or nothing. “We've had all of these kinds of half-baked partial solutions,” he said in an interview with the ABC. “They always lead to a lower return to the public. “[It] suggests an incoherent view of the policy. “If they think privatisation is good for the city, it makes no sense to say [it's] bad for the country, [as] the issues are going to be much the same. In the Australian Financial Review, UBS analyst David Leitch said the partial sale would bring in an amount about $2 billion less than the Government expects. There is some speculation that the NSW Government aims to make up the shortfall with a pay-out from the federal asset sales fund, which pays state governments to privatise their assets.